The beach, boat ramp, and 61 campsites at Cattail Cove State Park offer a broad spectrum of activities for all to enjoy. Whether you're interested in swimming, fishing or just lounging and relaxing, Cattail Cove State Park offers you and your family a chance to get away and enjoy tranquility along Lake Havasu. The 2,000-acre park has been operated by the Arizona State Parks Board since 1970. Lake Havasu was formed when the Colorado River was dammed near Parker. The 45-mile long lake creates a haven for all kinds of water sports. Fish for largemouth and striped bass, channel & flathead catfish, bluegill and crappie. Boat on the blue waters, sail into quiet coves, or water ski or jet ski out on the open lake. If campgrounds are not your style and you have your own boat, you can motor out to one of the 28 campsites along the water's edge. You can also rent boats and campsites with trailers at Sandpoint Marina and RV Park, as well as have dinner at Sandpoint's cafe. The area surrounding the park is also a rock hound's paradise. Volcanic rock, geodes, jaspers, obsidian, turquoise and agate can be found outside Lake Havasu City. All visitors are required to register and pay fees within 30 minutes of entering the park. Violators subject to criminal citation and eviction. Limit of two vehicles per site - each vehicle must pay. Limit of 8 people per site only. Absolutely no ground fires. Small fires in grills only. Quiet hours are 10 pm to 6 am No loud music at any time. Leave something in your site to demonstrate occupancy at all times or site maybe forfeited. No reserving, paying for or saving sites for people who are not in the park. First come first served. Violators are subject to eviction. No pets are allowed on developed beaches. Pets must be restrained on a 6 foot leash and attended to at all times. Please pick up after your pet. Possessing or igniting fireworks is illegal in Arizona. The use of firearms and weapons is prohibited. Vehicles arriving prior to 6 am (Arizona Time) must pay for previous night. Drive only on designated roads. 10 mph speed limit in the park. Swim only in designated areas. Glass containers are not allowed on the beaches. Camping is only permitted in designated sites. Legal drinking age in Arizona is 21. All underage drinking will be prosecuted. The Cattail Cove Ranger Station is open from 8 am - 4 pm and includes a small gift shop. Two handicap accessible restrooms buildings are located in the campgrounds. Located in the Ranger Station, the gift shop's hours are 8 am - 4 pm. The gift shop has books on hiking, birds, plants, trees and other interesting subjects. We have a children’s section with books and t-shirts. We also carry Cattail Cove t-shirts, polo’s and baseball caps. 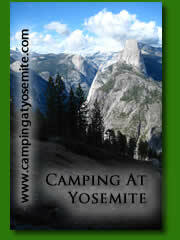 61 camping & RV sites. Maximum stay is 2 weeks. 8 people maximum per campsite. First come first served, saving sites is not allowed. Potable water is located in the campground. Fires are allowed in the fire rings at each site from October to April, unless other fire restrictions are in effect. Maximum RV length at this park is 40 feet. 57 sites offer 30 amp service. 4 sites offer 50 amp service. 28 primitive Boat-in Camping Sites with a Picnic Table and access to pit toilets. There is a garbage can, but please pack out your trash. No firepits or campfires year round. Propone stoves are acceptable. All Boat-in Camping Sites are first come, first served. No saving sites. Boat Camping Sites may also be used for Day Use, but you must completely clear the site by dusk. Park your vehicle and boat trailer in the parking lot and pay for parking ($15.00 fee). Find an unoccupied Boat-in Camping Site and pay for camping at the site ($10.00 cash) using the "Iron Ranger". A Maximum of 2 Boats with up to 8 total adults at each Boat Camping Site. Maximum length of stay is 15 days. Dump Station is available to registered campers. Or $15.00 for non campers. Showers are available year-round in the 2 restrooms buildings. Enjoy a picnic in a Ramada on a beautiful, sandy beach front. Whytes Retreat Trail: This is a 1½ mile hiking trail with a difficulty rating of easy. The trail begins at Cattail Cove State Park and follows the shoreline of Lake Havasu, providing an excellent view of the lower portion of the Colorado River, the Whitsett Pumping Station and Parker Dam. The shoreline portion of the trail ends at Whytes Retreat, one of the boat-in campsites provided by the Bureau of Land Management. The McKinney Loop portion of the trail returns to Cattail Cove through low desert hills and a shallow gorge with bluffs on both sides. To reach the trail follow the entrance road to the boat launch ramp where the trail begins on the south side. Catch the limit with Strippers, Bass, Catfish and Crappie. The park has a fish cleaning station. You may buy an Arizona fishing license at the Sandpoint Campground & Marina located next to the park. A valid Arizona fishing license is required for anglers fourteen and older. Licensing information is available online at Arizona Game & Fish, or purchase a fishing license at a local dealer. Swimming is allowed in the roped off swimming area off the sandy beach. No lifeguard on duty. Swimming is at your own risk. A spacious 4-lane boat ramp with 10-minute courtesy dock can accommodate any size boat, at various lake levels. Please call ahead to get permission from Rangers to launch any boat 35’ or longer. Non-motorized watercraft may launch at the boat ramp. Birds include loons, ducks, vultures, pheasants, hummingbirds and vultures. You may also see rabbits, coyotes, big horn sheep, raccoons, bobcat and snakes.